Every prayer is a prayer only when it is a prayer of the heart. That means that the words that come out during prayer they have to express the condition of your heart. In that case the words are almost irrelevant. The real point is that the heart should be in a particular condition. If the heart is not in that condition, the words of prayer are almost a disrespect to the One who you are praying to. In that sense, there are strong etiquette of prayer. Without the etiquette the prayer can be a sin. When I read the above comment, I had to disagree. Disagree because even though on principle the above statement sounds very much right, sounds very pro-spirituality and enlightening, yet it lacks a basic understanding. That understanding has to do with recognizing with compassion that human conditions are not monolithic. Not every person on this planet are evolved in terms of spiritual consciousness by the same measure. The above statement comes as if from an assumption that all of humanity have somehow passed a certain threshold of mental and spiritual maturity. Which it has not and every single human being is evolving uniquely. Human conditions are so extremely diverse that every single human being has his or her unique story, unique orientation towards spirituality and realization. If we look at humanity in any particular historical period or age we will come to see that some of them are highly educated, some are not. Some have moderate education, some are drawn deeply towards spirituality while others barely have refined their mind. Some have attained certain mastery over language, have refined thoughts whereas others are illiterate and dont know how to express themselves. 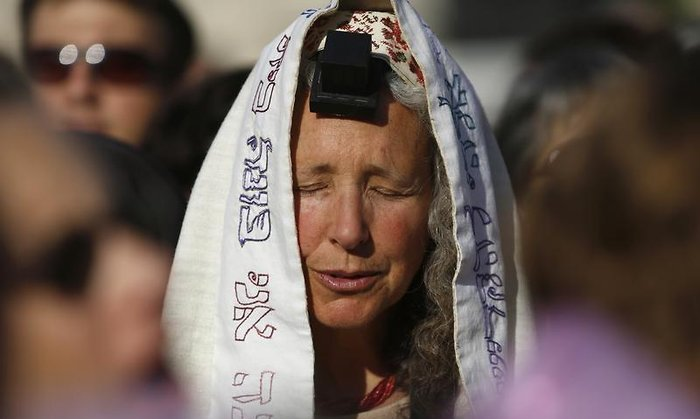 Prayer is an essential technology, a tool, a means to orient and connect the heart towards the original nature of Man and ultimately to the Source, the Divine Being. Prayer is a very basic expression of the heart and soul when it longs to unite with it's Origin. Prayer is the soul speaking to the Soul. 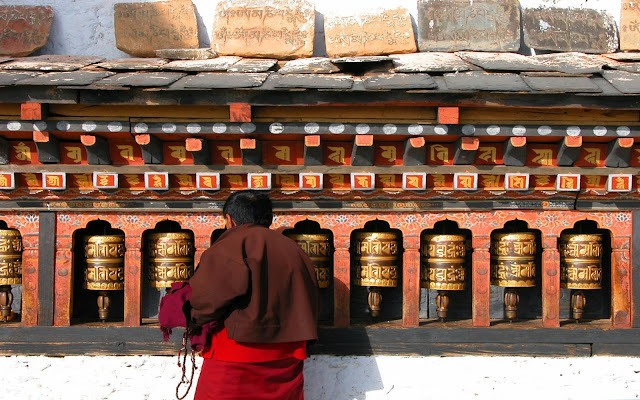 If we come to understand inherently diverse nature of humanity and uniqueness of each individual human being and the fact that each human being's spiritual progress is at different state and station - then we will also recognize that the way prayers are said, engaged with can not possibly be perfect automatically. For each that perfection even be different. There are those who barely know how to express themselves. They need an exposure to beauty which is possible for the soul when it comes to express that longing which is the subject matter of prayer. There are others who are highly intellectual persons and know articulate ways of expressing themselves, yet who might be caught up in complexity of their mind which prevents them from uttering the simplest of prayers in its pure beauty. Human conditions have people of many different degrees of perfection and imperfection. That is why the Divine Messengers, the Communicators and Divine Informers as well as illuminated beings have taught humanity how to pray. They themselves often used expressions which are of perfect harmony and of perfect vibration when it comes to expressing certain longing for union. Words in prayer are not irrelevant as said in the comment. Words are super important. Words are Sounds, Sounds are Vibration, Vibration is Power and there is no other Power but that of the All-Power. All Power, all vibration, all sounds and hence all Words are like that emanation from the Most High. Words of Scripture, its original sounds is that very Power made manifest in the lower world. Words are irrelevant, rather they are profoundly relevant in creating the desired effect on the mind, heart, spirit and soul. Sometime prayers are encoded wisdom, in other time universal prayers are not mere words but they also act as a compass towards guidance, light and truth. Such universal prayers taught by great beings are meant to work as technologies to open diverse hearts towards truth and true guidance. Its perfectly ok for a person who never know how to pray beautifully to encourage to learn from other beautiful prayers, prayers the capture the essence of surrender, beauty and perfection. Yes prayers are meant to be from the heart, yet those who have not attained that perfection can also progress towards that very perfection through immersing themselves in prayer, again and again. This is like polishing the mirror. Only through repeated polishing a surface can become perfectly polished. The First Chapter of the Quran begins by Praise of the Lord. For a servant, for an instrument, for a creation, this represent the most perfect station, which is the station of bewilderment, awe and praise. When one can acknowledge his surprised existence in the universe, when one looks out and within, one can not help but be in awe, bewilderment and out of that state the only utterance that can come out is praise and glorification of One Who is Beyond Praise and Glory. The perfect praises may not be uttered in just one saying, but through sadhana, through spiritual devotion one approach towards that perfection, and that entire process involves participating in prayer, be it through the tongue and lips to begin with. After all what we utter through our tongue, through our mind also goes back to the heart through our ears, through our hearing - even in the most gross level. True Prayer of the Heart is not achieved in one moment or hour or day. Just as enlightenment must come gradually, else it may overwhelm our being, may even shatter him or her, similarly prayer of the heart gradually manifest in the heart as devotion and purity is achieved towards that process. Prayer of the Lips can one day become Prayer of the Heart. It has and it shall continue to be. And those prayers which greatly illuminated beings prayed with certain vibrational quality are not lost for very particular reason. The Gayatri Mantra is not lost, the Diamond Sutras are not lost, the Lord's Prayers are not lost, Surah al-Fatiha or the Chapter of Opening is not lost - for reasons because they captures some of the most pure essence of prayer that human heart can utter and can dedicate towards the Lord. The greatly illuminated beings prayed in utter humility, both in their private and also with community, with sangha to teach all members and by extension to us as well - so that we can also join in that vibration, in those ancient words, we may also join our hearts with the same surrender in which they prayed so that we may also attain those states and station that they did - perchance we may also be included in the circle of those whose prayers are accepted. So we are not only asked to pray or establish prayer, but we are reminded and taught prayers which are of extra ordinary quality both in terms of who said them and in terms of their tremendous acceptance and effect of that acceptance as preserved by the One Who Respond and Accepts all Prayers. 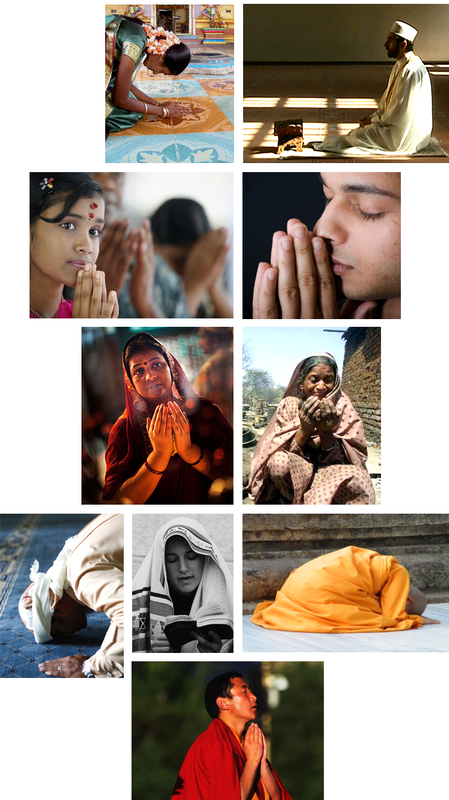 These great prayers (and there are many which are preserved and transmitted through Prophetic Knowledge in the Old Testament, New Testament and Final Testament and other Scriptures) of these great beings are some of the greatest wasila, medium of having prayers accepted in every age because of the connection of Love, because they were once uttered by beloveds of God, some of the finest lovers of God and for that Love when such words are used for beseeching and asking to the Lord, He accepts with His Absolute Authority and Power. The Creator's unity is best expressed upon the backdrop of diversity. Thats why when like everything else, when it comes to our prayer, our aspirations and inspirations towards the Divine Being we can see incredible diversity. Establishing prayer is a commandment given to mankind in every age and repeated many times over in the Final Testament precisely because establishing and practicing prayer doesnt immediately guarantee the prefect prayer, but establishing prayer is the essential prerequisite for attaining perfectness of prayer and a prayerful heart for individual and prayerful humanity. The real point is that the heart should be in a particular condition. If the heart is not in that condition, the words of prayer are almost a disrespect to the One who you are praying to. In that sense, there are strong etiquette of prayer. Without the etiquette the prayer can be a sin. Of course, the heart should be in a particular condition for prayer to be prayer of the heart. But this doesnt mean, the heart which has not mastered that perfection should not even engage with prayer. Attaining perfection is an aspiration and an attribute of the Divine, which we, who are made in Divine Image must aspire towards perfection including perfection of prayer, yet that doesnt exclude those who have not attained yet. Yes one must realize that true prayer is that of the Heart and Soul, yet that should not prevent one from prayer if he or she can not engage fully with Heart and Soul while as a beginner. True Love, Surrender and Devotion is not achieved without intention and engagement and immersion. Saying "without the etiquette the prayer can be a sin" - is like in old days how high priests in the temple controlled everything and forbade people from even looking or touching the Scriptures and Sacred Relics on the excuse of sin. This is a mechanism still employed by the Satan and also those who server the archetype of deception. This is a waswasa (negative whispering of the nafs and shaytan) which prevent people from approaching the true self, the Beloved. Spiritual democracy says that attainment of spiritual perfection is a birth right of every single human being and regardless of their spiritual maturity or evolutionary progress, all has the right to strive towards perfection. It is promised that the striving, the toiling towards the Ultimate shall be met by mankind, both individually and collectively and that's a promise transmitted via Prophetic knowledge. This is a Divine promise by One Who never break His Promise. 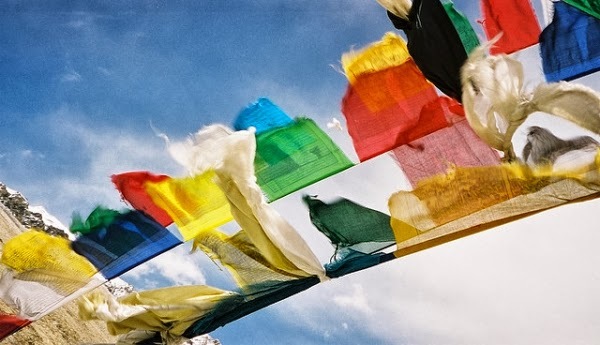 We human beings are so diverse that in our diversity of prayer practices, some have prayer books, some have prayers curved on stones, some even have prayer flags, prayer wheels and so on and so forth. incredible! isn't it? Yes true prayer is ultimately a prayer of the heart, yet we humanity have prayers that engage the nature and engage our limbs, our entirety. The entire universe is perpetually in prayer, it existence itself is a constant prayer itself rising towards the Essence. The universe itself is a mirror which reflecting the the glory of the Grand Artist in every moment and that glorification, that bewildered praise is the core of prayer. May the prayers in which we engage with our zaher, with our outwards, with our forms, our limbs, our tongue, our lips take us to the prayer of batin, to prayer with the inner heart, spirit and soul, to prayer which is constant and ever flowing from the heart. Amen. 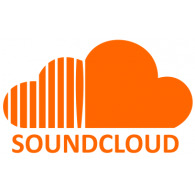 Click here to Listen via SoundCloud, Converted by SoundGecko. Are prayers worthless and vain? Are prayers said by lips have no value?